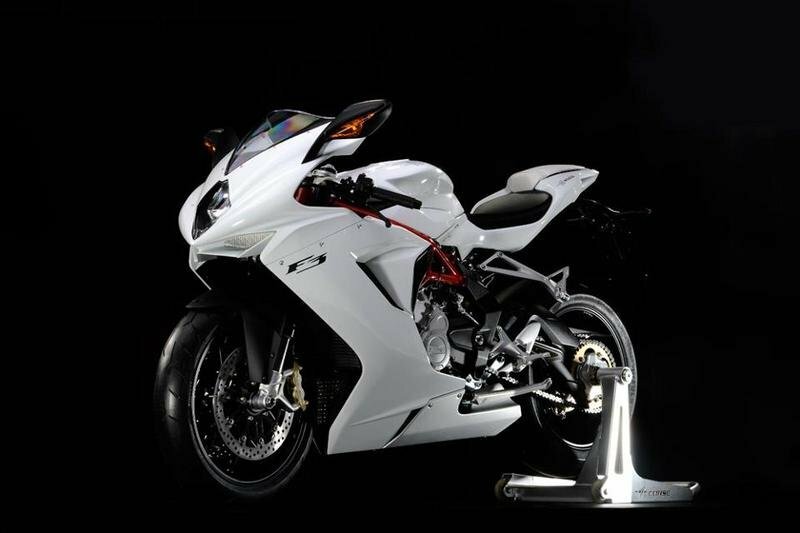 Last year, the new MV Agusta F3 675 was elected the “Most beautiful 600 in the world”. And there is no wonder why, as the motorcycle is indeed among the most attractive models in its class. But there is more to it than just looks. The MV Agusta F3 675 is packed with a series of high tech features which help it deliver first class performance on the road but also on the race track. Its three cylinder engine utilizes a revolutionary counter-rotating crankshaft, a solution that has only been previously seen on MotoGP motorcycles, together with the most compact and light weight layout ever seen on a Supersport bike. The MV Agusta F3 675 is the first motorcycle in its class with Full Ride By Wire engine controls including 4 pre-set maps and one personally tunable map including traction control that can be selected between 8 different levels. 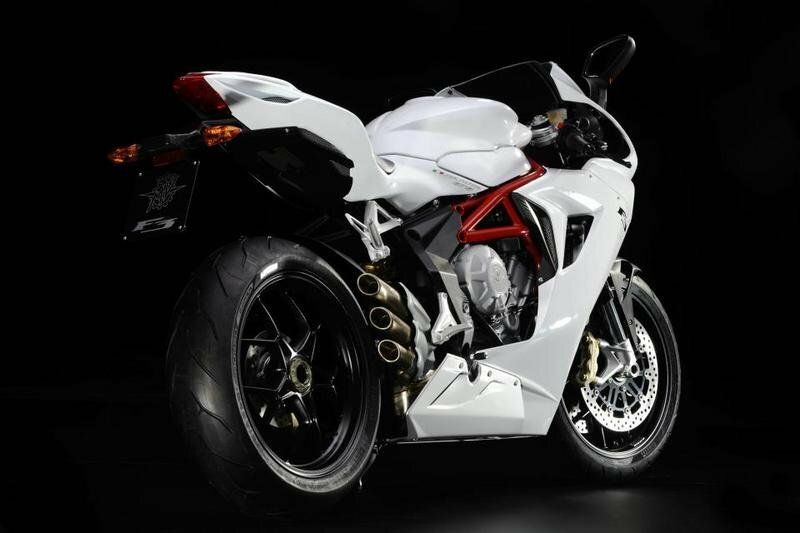 Hit the jump for more information on the 2013 MV Agusta F3 675. 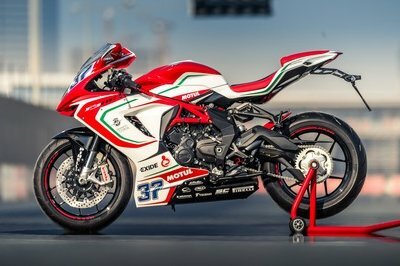 After being elected the “Most beautiful 600 in the world”, the MV Agusta F3 675 is now ready to become the new reference both on the street and on the track. A Supersport that boasts a ultra-advance chassis and vehicle dynamics control that is on par with the most advanced Superbikes thanks to the new system MVICS (Motor & Vehicle Integrated Control System). 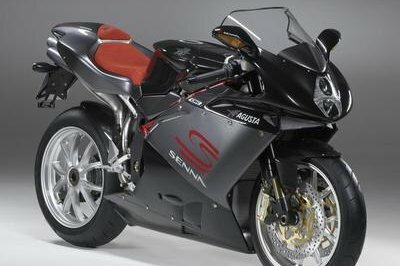 The MV Agusta F3 675 is a revolutionary motorcycle offering extreme emotions to the rider on the street and on the track. The three cylinder engine utilizes a revolutionary counter-rotating crankshaft, a solution that has only been previously seen on MotoGP motorcycles, together with the most compact and light weight layout ever seen on a Supersport bike. These are only a few of the characteristics that make the new F3 675 the most sophisticated supersport with the best handling of any sport motorcycle. 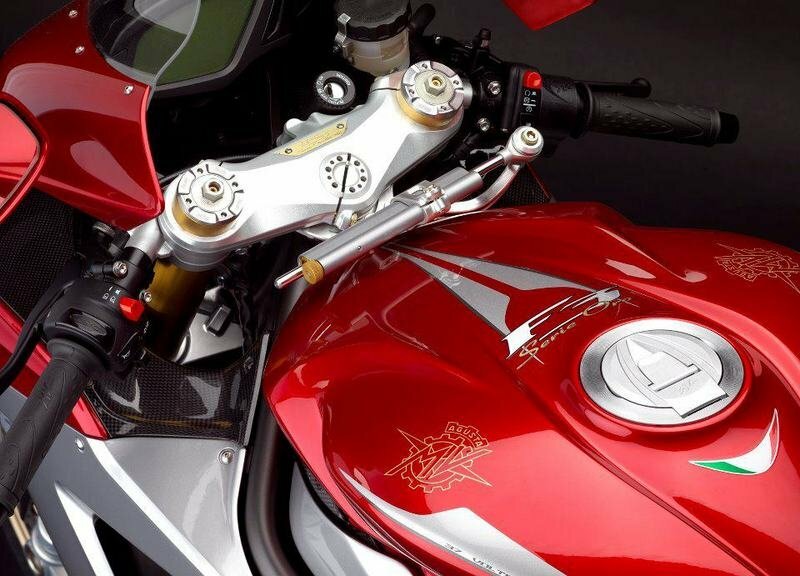 The MV Agusta F3 675 engine is the most advanced and powerful middle weight engine ever produced. It is a ultra-compact in-line three cylinder with the perfect balance between advanced mechanical engineering, extremely advanced materials and electronics technology. Thanks to the MVICS system it is the first middle weight motorcycle with Full Ride By Wire engine controls including 4 pre-set maps and one personally tunable map including traction control that can be selected between 8 different levels. The chassis is also incredibly advanced: studied and designed to obtain the maximum dynamic performance, it was born with the optimum rigidity that offers an unparalleled level of feeling during all riding conditions when compared to the other motorcycles in this category. The development of the style of the MV Agusta F3 675 was based on the core philosophy that has always characterized all previous MV’s: the perfect balance between form and function that meld together to create an object that is unique not only for its beauty but also for its effectiveness. 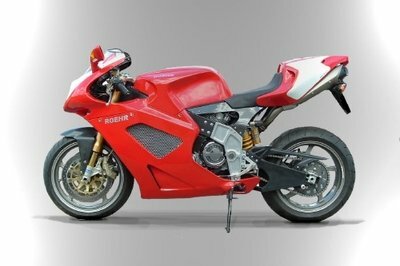 The new F3 675 will be available in 3 color combinations: red/silver, pastel white and pastel black/metallic anthracite. 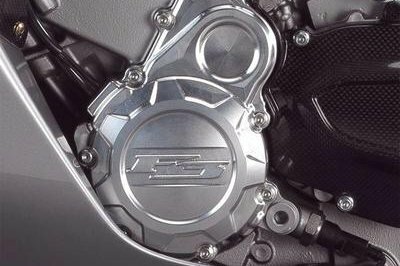 The powerplant of the new F3, an inline 675cc three cylinder, plays homage to the most victorious motorcycle brand in the word. With this layout MV raced and won an unprecedented number of races and world championship titles. Today the 3-cylinder engine has returned in the form of a Supersport with the most advanced technical solutions and performance. This ultra-compact engine which is both incredibly short and narrow due to the unique layout of internal organs that only MV has been able to develop. 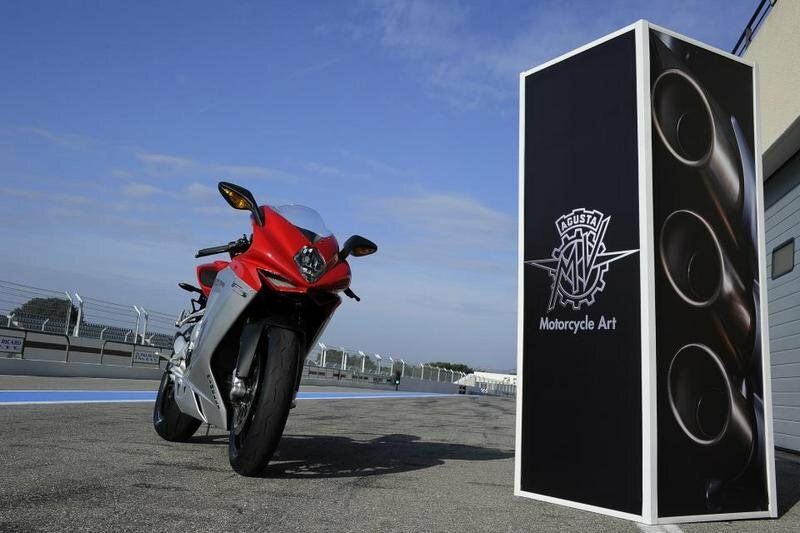 Utilizing a 79mm bore and a super-short stroke of 45,9mm the MV Agusta 3 cylinder engine is extremely over-square and able to rev the highest levels ever achieved by three cylinder sports bike. Ultra-modern, extremely advanced and capable of 128 cv at 14.500 rpm coupled with 71 Nm of torque at 10.600 rpm. This level of performance has never been available in this category on par with the performance of a number of 4 cylinder engines thanks to a 15.000 rpm limit. For the first time ever, a production motorcycle has utilized a counter-rotating crankshaft that contributes to the perfect dynamic balance as well as increasing the lightning quick handling of the motorcycle. Ultra-compact dimensions, reduced weight and maximum performance: these are the characteristics that make the engine of the new MV Agusta F3 675 the new reference in the Supersport class, an engine that is destined to become the new benchmark of supersport engines. 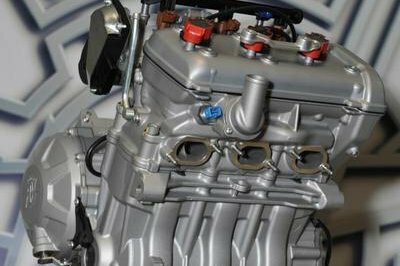 Contributing to the reduced weight and compact design is the application of the “closed deck” integration of the cylinders into the crankcase in a single shell mold casting along with the MVICS system and the use of titanium both for the intake and exhaust valves. Another unique feature is the integrate oil and water system: the pump system (water and oil) is placed entirely inside the crankcases and all of the passages are contained internal to the engine castings offering both performance and styling advantages to the most powerful Italian 3 cylinder ever produced. MW Agusta eas (electronically assisted shift) which allows incredibly rapid shifting without ever having to close the throttle or employ the clutch. As always, those who ride MV Agusta’s have become accustomed to having the very best components and the maximum performance from the chassis. 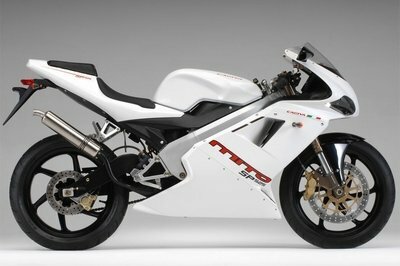 The new F3 675 follows this tradition with a level of quality that exceeds most of the 1000cc superbikes on the market. As with all previous MV’s, the advanced frame design incorporates a mix of steel tubing and aluminum side plates that wrap around the ultra compact engine offering a level of compactness never before seen on a supersport motorcycle. The compact engine dimensions left the maximum liberty to design the most advanced chassis on the market with an exceptionally long single sided swingarm that guarantees traction and feedback to the rider. All of this without penalizing the wheelbase of only 1.380 mm is a new record for the Supersport category as is the 173 kg weight. The components, as always, are of the highest quality. The Marzocchi 43mm front fork is completely adjustable as well as the Sachs piggy-back rear shock. The front brake system consists of a Nissin radial master cylinder and Brembo radial calipers and 320 mm discs and are coupled with ultra-light wheels that contribute to the reduced unsprung mass which allows the F3 675 to offer handling never before experienced on a Supersport motorcycle. Motorcycle-usa ---- "For its first foray into the world of modern middleweight sportbikes, MV has done an admirable job considering its limited resources. For sure it’s got a strong, well-sorted powertrain package that can run with the best from Japan and Europe. The ergonomics are functional as well - for all but us taller folks. But the thing that really holds the MV back at this point is a bit of chassis refinement. Get that dialed-in and there’s little doubt that it could be a true contender in the class. " Asphaltandrubber ---- "Though still more expensive than was originally communicated by the Italian company, the MV Agusta F3 675 is priced very competitively against its closest rival, the Triumph Daytona 675, especially in the European markets. How that price would translate to other markets remained to be seen though, but Bill Nation from Pro Italia Motorcycles tipped us off in our comments section that the 2012 MV Agusta F3 675 will retail with a $13,495 MSRP, while the 2012 MV Agusta F3 Serie Oro will retail with a $27,900 price tag." Motorcycle ---- "MV designers should be commended for attention to detail on the F3, and not just for things like the “artfully scalloped fork leg” Duke mentions in his track review, but for real world usefulness. Where the F4 pinches a rider’s thumb between handlebar and fairing at full steering lock, the F3 saves your opposable digit from bruising. However, these same designers installed mirrors that blur from the minor engine vibrations, making it hard for a rider to see his forearm that inconveniently splits the viewable area of the mirror."